After completing the 100% ownership of Leeds United AFC, H.E. Dr. Ahmed Al Mutawa of GFH Capital has promised his investment in the Yorkshire club will lead the team to its former glory. Two-time winners of the Euro Cup and not winning a trophy since 1992, new manager Joshua Sykes will be itching to set the record straight. A personal target of automatic promotion may be a big ask, but with a comfortable bank balance behind United, money may play them out of their twenty-year baron spell. In what has to be marked down as a less than impressive start to Leeds' title-chasing campaign, August has been an extremely busy month for the club and their new manager, Joshua Sykes. 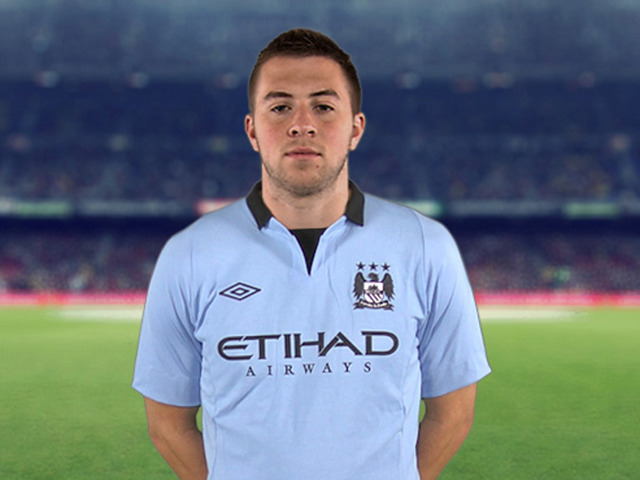 Amidst having to harmonize his squad, Sykes has raised eyebrows with ambitious transfer signings and lust for glory. Inspired by the under-achievement of the United side, gaffer Joshua Sykes kept himself busy after signing SIX players on the day. Spanish veteran Michel Salgado has joined the Yorkshire club on a one-year deal, thought to bring experience to the side. The capture of QPR's consistant supporting winger Jamie Mackie on a five-month loan deal has certainly raised eyebrows and anticipates a boost in morale at Elland Road. I have to admit I was expecting a better start to the season but I guess this is the fun of management. Ive soaked up the available budget on purchases out of desperation. For those who missed this, Im aiming for automatic promotion in the first season; if I dont achieve this, I'll probably resign and blow my earnings on cocaine, impale Mario Balotelli's head with his massive ego and no doubt manage a local team in the Blue Square South. Satisfied with the loan signing of Mackie, big fan and hope he can pull through. In a less than impressive month for Leeds United, who cant seem to find their feet despite some talented signings, United boss Joshua Sykes is lacking in motivation due to the excessive poor performances from his squad. Jamie Mackie, loanee from Queens Park Rangers has been the better of the team, bagging two goals on his debut against Bristol City which won Leeds the game. Left-back Jack Robinson (On loan from Liverpool) however has been hit-and-miss in his 7 appearances, with an average rating of 6.61, the lowest of the squad. 29-year-old Scottish goalkeeper Craig Gordon has joined Leeds United on a four-year-deal after his contract was left to expire at Sunderland in May. Gordon, formerly the most expensive goalkeeper and known for a "save of the century", has been injury ridden which ended interest with Premier League clubs. Gordon, who currently has 41-caps for Scotland, agreed to join npower Championship strugglers Leeds after been given time to gain match fitness. Due to registration regulations, Craig Gordon will not be registered for league fixtures until January, but is still eligible for cup competitions. I dont usually play within the Championship as it is too competitive. Ive noticed on previous versions that the teams who took the drop often under perform, as do challenging teams and its just a general farce in my eye. Nontheless, Im enjoying the struggle even though its ridiculous how these players are under-performing. As they say, "money wont buy you happiness", I heed those words. Have you changed the Leeds bank balance in the editor? Or is it in an update? Interested to know how much you gave yourself if you did, its not as easy as what people think when you have loads of money, its about trying to buy the right player! Good luck, and hope you turn it around! 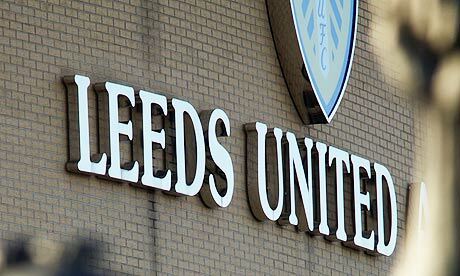 Dirty Leeds belong in the Premier League! Tell me about it my friend, never under-performed like this before, its really frustrating as I do feel this is a title-challenging side for sure. I'll keep going until I get the sack I guess! 2013-01-24 10:01#78656 MCFCDAP : Have you changed the Leeds bank balance in the editor? Or is it in an update? Cheers pal. Just using the Leeds Takeover scenario download, no editor data. Where have you got that database from? How much do you get to spend? 2013-01-25 15:18#78810 MCFCDAP : Where have you got that database from? How much do you get to spend? 2013-01-25 16:14#78819 Blue : Good luck with this, will be following! I didn't know you could do that, I just did it in editor. Geez now everyone is getting Celso Borges! 2013-01-26 06:59#78921 Liverbird : Geez now everyone is getting Celso Borges! I'll be honest, never heard of him and found him within the game. I take with this statement he is a worthy player? Under-fire boss Joshua Sykes has been told by his Leeds United board his job IS SAFE despite a continued unpredictability of results. 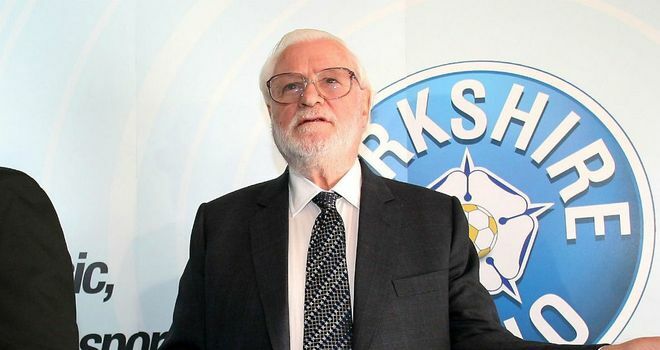 Ken Bates, chairman, was accompanied by new owner Ahmed Al Mutawa at the Galpharm Stadium which saw their United squad gain a comfortable 3-1 win over county rivals Huddersfield. The same could not be said for the clubs performance in the Capital One 4th Round tie against Manchester United, losing 3-1 after being 1-0 up at half time. Will power or no power? In one of the most talked about subjects in English football, sparking huge debate in areas such as ability, potential, being under the limelight and pressure to succeed, Leeds United may just be getting fed up with Michael Johnson. Manager Joshua Sykes had given Johnson, 24, a chance to restart his career after seeing the boot from Premier League Champions Manchester City, but four appearences for the club have been all but productive. Former England manager Sven-Göran Eriksson had once called him a future England skipper who had the world at his feet, now failing to meet full match fitness, Leeds United may just be his last stop. Michael Johnson is a prime example of having the physical ability, but not the mental strength to reach maximum capibility. Does the pressure of entering professional football overshadow true potential? Player's meeting reveals the squads' overall frustration in not reaching our true potential. I had been one-nil up at Old Trafford whilst taking a defensive approach, so when trying to exploit our strongest flank, they countered and won 3-1. I see no justice in these slip ups. Confidence boosted in the win over Huddersfield, looking to gain some momentum and reach a 5-game win streak before Christmas Day. November has been the best month for Leeds United so far after every single fixture won by the Whites. The first fixture of the month was a comfortable win against Bolton Wanderers, who would be ashamed at their current situation after dropping out of the Top Flight. Leeds may just have turned a corner after the "perfect month" was finished with a win over old rivals Leicester City. Ultimately proud with winning all of the matches this month. Ive got my desired win-streak which Im hoping to carry on into December and then be within the Top Four by then end of January. Kwueke and Borges are my main two strikers who are tallying up the goals and regularly assisting eachother, not quite the Cole & Yorke factor but our strongest strikers nonetheless. Roll on December. nPower Championship outfit Leeds United are enjoying regular wins now, but December has had its faults. A five-nil thrashing against Notts Forest had Joshua Sykes fuming, with players expressing the managers anger after the match, but the Whites immediately bounced back by beating fellow Yorkshire club Hull City four-nil. After picking up some convincing results, the defense has come into question as the team has given away some sloppy goals which have cost those ever-valuable 3 points.